Ronda Rousey is the first and current UFC Women’s Bantamweight Champion. She imposes her will on other athletes in a cage until they voluntarily / involuntarily yield or the referee does it for them. She is undefeated having won all her 12 professional fights, 9 of which she has ended in the first round. She is the best amongst her peer group, bar none. Ronda’s mother is intense. She is a decorated Judo fighter in her own right, and was the first US citizen to win a world judo championship, male or female. Growing up in the Rousey household it was stated, repeated and expected that Ronda and her siblings could choose whatever they wanted to do, as long as they became the best at that pursuit. Stating it means that you would believe it is possible. So be the best at whatever you choose to do, and have the self belief that you can achieve that goal. Ronda in a recent interview said that her intensity and will to win at fighting comes from failing at the Olympics. She wasn’t the best at that, but she had all the tools to attempt to be the best at something closely related, and rest is history. So if you can’t be the best at what you are currently doing, do not give up, but ask yourself how the skills that you have might allow you to maneuver to take a leadership position somewhere else. 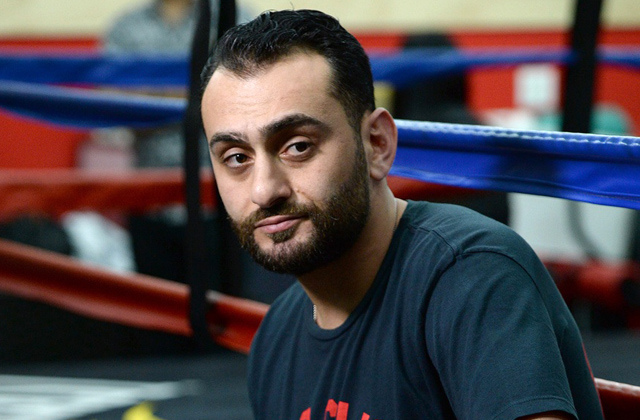 Ronda’s coach is Edmond Taverdyan. When she met him she was a dangerous grappler but not a fighter. She had all the ingredients but didn’t know how to direct those in a way that could make her a UFC champion. Without Edmond there is no Ronda Rousey. It is rare, if not almost unheard of for great things to be achieved without a partner. Seek out people that complete you, that drive you, and share your ambition. Above all else, seek out people that believe you can be the best. In a 2012 interview before her first fight against Miesha Tate, Ronda Rousey said “When I was doing judo my main advantage was my conditioning and my pace; I used to wear people out.” She had taken to heart a quote from Ryoko Tani to fight every five seconds as if it were the last five seconds of the fight. Being talented and smart are almost never enough; you need a work ethic and a level of intensity that is better than the herd if you want to separate from them. In my experience it is sweat that is the most overlooked part of becoming successful. Ronda’s first ever injury was a broken toe, and her mother made her run laps around the mat for the rest of the night. She said she wanted her to know that even if she was hurt, she was still fine. Excuses are lies you tell yourself to give yourself permission to give up. But you’ll be only fooling yourself. Be mindful of when you make excuses to yourself and stamp it out as a corrosive trait. Watch Ronda Rousey fight to retain her title against Holly Holm on November 12, 2015.